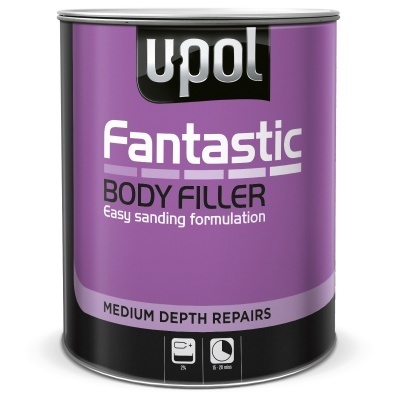 An easy to use, rapid setting filler with soft sanding properties tht provides a smooth surface. Bonds strong to metal, G.R.P and wood. Takes all types of paint. Repairs and fills holes, dents and scratches on car body work, also for use on damaged G.R.P. surfaces such as boat hulls. Has a wide use around the house for general filling purposes, securing bolts and screws, mending metal pipes/gutters and rotted window frames.